Laurel Hartley digs prairie dogs! She became a doctor by studying how these burrowing mammals affect soil nutrients and the diversity of grassland plants. Laurel is now involved in education. How did natural history museums inspire your interest in science? I’ve always loved going to natural history museums. In fact, I’ve collected something from every natural history museum I’ve visited. In college, I had an internship at the London Museum of Natural History where I got to hold some of Charles Darwin’s specimens. I also worked on the Dig It! exhibit for the Smithsonian. 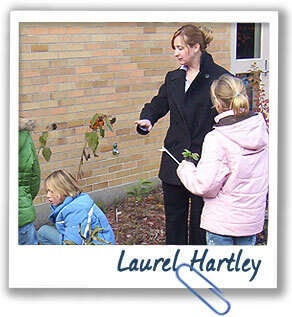 I like working with kids to show them how soils relate to their everyday lives. And I enjoy finding ways to translate science to people who aren’t scientists…or who aren’t scientists yet!